1. We’re starting our baby registry tomorrow. 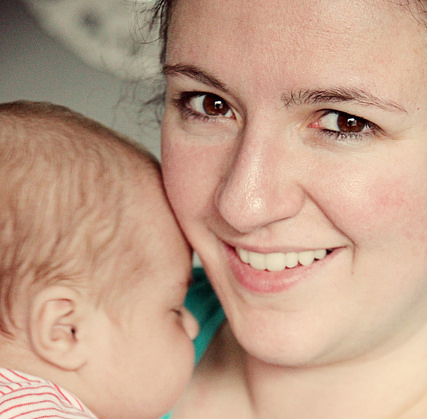 As a (nervous) first-timer, moms and dads of the world: what should we include? What can we do without? I’m assuming the store will have a handy-dandy guide for us — but that, like the bridal registry, it will include “must-have” items that are actually impractical and unnecessary. But where I knew I didn’t need gold-laced bone china, I don’t know a darn thing about baby paraphernalia. Send help. 2. I’ve found my reading mojo once more . . . and man, it feels good! With January drawing to a close, I’ve finished five books this month and am wrapping up a sixth. Considering I think I read four books total in the fall, I’m feeling great about striding toward my 55-book goal for 2015. But more importantly, I’ve returned to losing myself in stories — always my favorite way to relax. I’m plowing through some review copies I’ve had hanging around for a while, too, which always feels productive. 3. Though it’s hard to admit, my love of pickles — a pregnancy staple — has begun to wane. Lately I can’t get enough of plain ol’ potato chips and dip, which makes seeing recipes like this all the more enticing. Since buying lots of local spice mixes in the fall, I’ve gotten obsessed with making homemade dips; they’re usually just equal parts mayonnaise, sour cream and spices. What can go wrong there?! And Sunday is the Super Bowl! The perfect time for greasy snacks. And maybe beer bread. And lots of commercial-watching. I can’t wait. 4. Last night was the final episode of “Parenthood” ever and I don’t want to talk about it. Or, rather, I do, but I don’t think I’m emotionally capable. Never before have fictional characters made me cry so hard that I had to remove my contacts and gulp air like a drowning woman. Though I was late to the series, my sister really got me into it — and I will miss it so much. 5. As most of my funds went toward Christmas gifts in November and December, I had to stay away from Etsy, my beloved playground — but I’m back. And it’s bad. I’ve long loved compiling my favorite treasures from the marketplace, but I have to hold myself back from basically ordering all the things. Right now? I’m lusting after this adorable box for book lovers, these sock monkey blocks for Baby J and this gorgeous photography. Anddddd I’m clicking off before I really get into trouble. 1. The gender reveal is ON for tonight! Our elective ultrasound on Wednesday was a success, and our technician was able to get Baby J to move enough to “clearly” tell what s/he is. The baby was initially hanging out on its belly, just like last time, and I had a moment of abject panic where I thought, “C’MON PLEASE NOT AGAIN.” Only because I’m ridiculous and impatient. But after a few minutes, we saw a little somersault and got the money shot. And we all find out tonight through a gender reveal cake! I. am. excited. 2. But in the midst of all that excitement . . . I’m dealing with my second cold of the winter season. The first came on in early December, and I’m pretty sure I never really got over that one? This has been one of my busiest work weeks in ages, and I’ve had to muster up every ounce of energy I have to get through it. Unmedicated. Also, I’ve gone through three boxes of tissues in two days . . . so. It’s fun hanging out with me! 3. I’ve become something of a magazine hoarder. Unintentionally, of course. Which magazines do y’all subscribe to? Glamour, Cooking Light and Southern Living regularly arrive in my mailbox. I have them all piled up in the office for a rainy day but, when I finally sit down to read, I almost always reach for my latest novel-in-progress instead. I want to get better about reading and passing them along, though; maybe that’s a good weekend project? 4. Speaking of projects, Spence and I have started looking at paint colors for the nursery. Regardless of whether we’re having a lady or lad, we know we don’t want a pink/blue explosion . . . so we’ve been playing around with a pretty pale purple for a girl or a very subtle blue for a boy. I guess nurseries need a “theme”? I don’t know. I think I want our theme to be, um, soothing and tranquil . . . after all, s/he won’t be paying as much attention to the room as we will. And we’ll be tired. For a little while, at least! 5. And just because shopping is fun, how cute is this little wooly egg doll? She’s reading! A book! I fell in love with the wooly guys when a good friend shared a link with me years ago, and bought her a set as a gift. I think they’re straight-up adorable. 1. I’m totally cheating on my beloved coffee lately, and . . . you know what? I’m okay with it. Most mornings find me hovered over the Keurig making a chai tea latte — just brewed chai with milk — and it’s my new obsession. Have you tried chai? Are you a tea drinker? If not, consider this your invitation! And if you’re feeling really fancy, add cinnamon. It’s totally like the delicious drink at Panera Bread and Panera is also my happy place. 2. Speaking of Panera, I took myself to lunch yesterday! In an effort to stay on budget and watch how much we’re eating out (er, often), I’ve been trying to limit my weekday work lunches to leftovers and soup. Which is fine, you know . . . most of the time. But sometimes? One gets a hankering for kettle chips. And soup. And chipotle sauce. And when that happens, there’s only one thing to do — so I did it. No regrets. 3. After confessing to my book rut earlier this week, I’ve actually found my interest in reading has been making a turn-around! I’m halfway through Samantha Verant’s Seven Letters From Paris — a fun memoir for francophiles — and just started Stephanie Perkins’ Isla and the Happily Ever After. The latter is a library book, so I’m trying to stay motivated; because it’s such a hot item, I doubt I’ll be able to renew it. And if we get to crunch time before it’s due, I will stay up all night because no. Returning an enjoyable library book half-read is torture. 5. In my travels over at Etsy, I’ve fallen in love with this print and this one and also this quote, probably because we married in November and I’m a fall fanatic. I’m pretty sure I need one or all of them, but I’ll refrain and be a good girl. 1. Are these or are these not the most adorable stamps you’ve ever seen? We know I’m a mail nerd, so it should come as no surprise that I’m positively geeking out over them — but really. Sunflowers and vegetables and adorable baskets on a stamp. I just sort of look at and pet them, and then I put them on love letters. Or letters to my grandma, ’cause that’s how I roll. 2. I’m in the middle of no less than three books right now (one on Kindle; one print; one audio), but that didn’t stop me from starting Gabrielle Zevin’s The Storied Life of A.J. Fikry because Patti recommended it and y’all gushed about it — and what can I say? The power of persuasion. Though I started my other reads days or weeks ago, I’m almost finished with A.J. — and have thoroughly enjoyed it! Very charming. 5. It’s almost craft fair season, y’all! Is that a thing where you are? Here in Southern Maryland, firehouses, churches and halls will soon fill with crafters selling home decor, jewelry, candles, Christmas stuff . . . and I will love every second of it. Hitting the many craft fairs is a family pastime in the fall, and I actually have a place for my craft fair finds these days. I don’t want to be broke, either, but I’m ridiculously excited about it.